The Catholic Geographic System is a platform that can help multiple stakeholders communicate and thoughtfully plan how their land can promote environmental and social wellbeing while increasing fiscal sustainability. Our work has already generated massive amounts of location data about the global Catholic network. We are developing an enterprise geographic information system (GIS) that will enable partnering organizations to leverage our data and communicate, plan, and exchange their own data with Catholic entities to greatly enhance each other’s critical mission-driven work around the world. 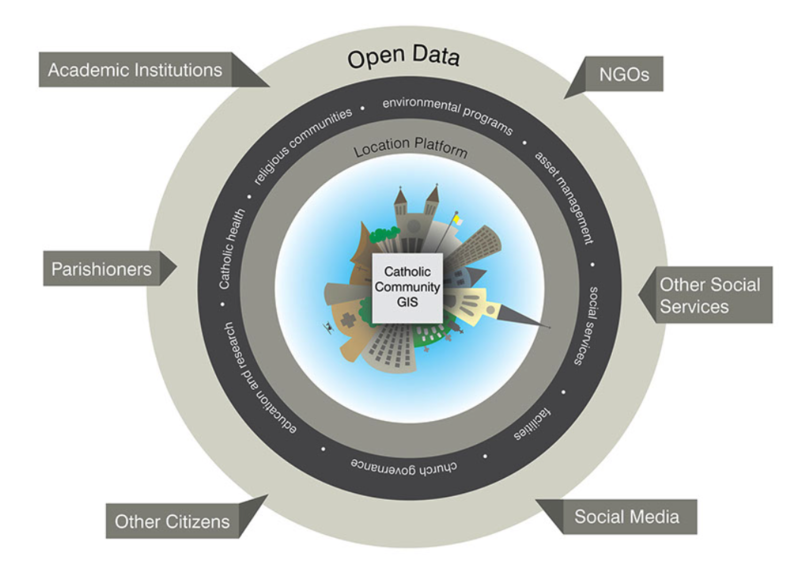 A central platform for data can increase interoperability among the global Catholic community by providing a hub of Catholic data, knowledge management tools, and data infrastructure that enables efficient and secure access, retrieval and dissemination of information, while providing a platform marketplace for Catholic organizations to share data and help finance their missions. The potential costs savings of a centralized hub of information for Catholic organizations in different sectors, such as health care, education, and relief / aid, are in the magnitude of billions of dollars each year. The Catholic Geographic System works synergistically with GoodLands’ other programs to bring values and scientific information together in the form of actionable data narratives. By providing a hub for knowledge management, communities are no longer required to invest in their own data infrastructure. Providing this hub will also reduce costly maintenance and collection redundancy across Catholic organizations. This helps Catholic communities around the world to implement programs more efficiently and to understand their relationship to local conditions. It also makes it possible to respond more effectively to the stewardship calling of Laudato Si’through a process that is rapid, sustainable, measurable, and globally scalable. The Catholic Geographic System is a hub of geographic information. The image above illustrates a basic framework for data sharing among various stakeholders with multiple levels of security, collaboration, and use. During Phase 1 we carefully curated what is likely the largest geodatabase of Catholic information in the world. Our maps have been displayed in Casina Pio IV at the Vatican several times and our mapping efforts have received expressions of interest from various groups in the Roman Curia, from Catholic NGOs, and from multi-national organizations around the world..We have laid the technical foundation and established the social connections needed to move our efforts forward. With sufficient financial support, we can build the front-end of our technology to meet existing demand for these services and connect even more platform partners to each other to accomplish measurable progress in improving the state of the planet and prosperity around the world. We have laid the foundation for the Catholic Geography System with a world-class team of collaborators that includes systems architects and engineers who have contributed to the development of major spatial data infrastructures (SDI), including the City of Los Angeles’ GeoHub, the European Union’s INSPIRE SDI, and the GeoSUR SDI for the Latin American Development Bank. During our Phase 1 development we established a partnership with Esri, the global leader in geospatial technology, to launch the Catholic Geographic System. As part of this effort, we discussed our work with leadership in the Holy See and received approval to map ecclesiastical jurisdictions globally. To date, we have developed the first comprehensive global maps of Catholic Latin-rite ecclesiastical jurisdictions in history. At the heart of the Catholic Geographic System is cloud-based geographic information systems technology that provides organizations with secure systems of records for storing their location information that they can update and share as they see fit. The platform works for communities by creating systems of engagement that provide platform users with context for intra-organization applications and for inter-organization uses in a way that promotes collaborations and smarter planning decisions. 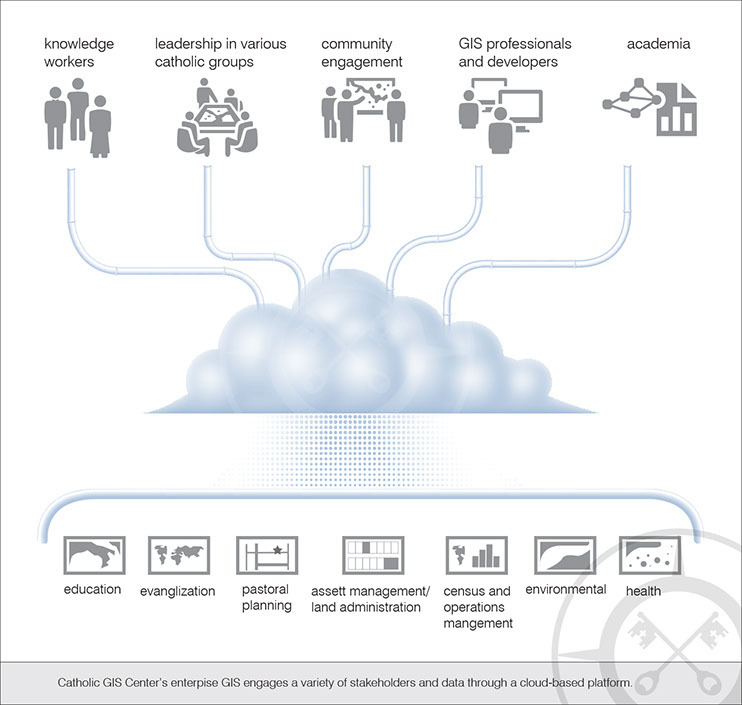 The Catholic Geographic System allows organizations to focus less on analysis and more on their mission-oriented goals, and it allows GoodLands to multiply the positive impact of its land-based data. 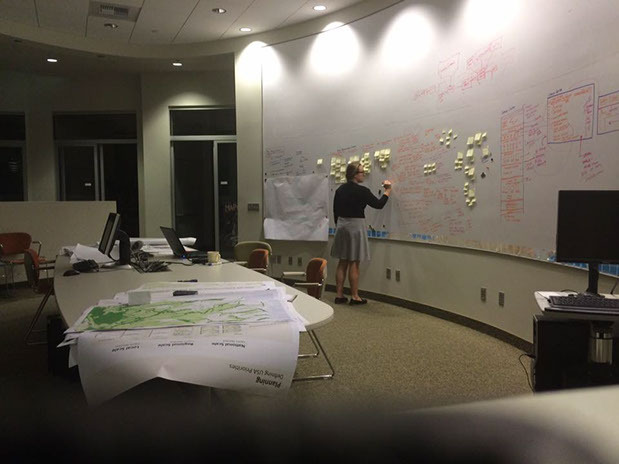 Combined with community-driven design, the land-based data drives our land-use planning efforts. When GoodLands completes environmental planning work, it stands up a local location platform as part of our enterprise geographic information system (eGIS), so that communities can have the tools they need to continue ecological planning and information updates after we complete our initial project.